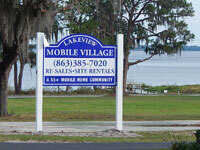 Welcome to Lakeview Mobile Village & Highlands Mobile Village in Sebring! Lakeview Mobile Village and Highlands Mobile Village are two beautiful 55+ senior mobile home parks situated near the shores of peaceful Lake Jackson in historic Sebring, Florida. Each of our properties sits on more than ten acres of well-manicured and professionally-landscaped lots in safe and serene mobile home communities. Whether you are looking for short-term RV parking and hookups, long-term mobile home lot rents, or Sebring RV campgrounds for seasonal getaways, Lakeview and Highlands Mobile Villages look forward to offering you the best! Amenities include shuffleboard courts, bocce ball, horseshoe pits, laundry facilities, bath houses, off-site community parking lots, convenient access to Lake Jackson, and much more. For further information on the features and services at each of our Sebring mobile home communities, visit the Features page. 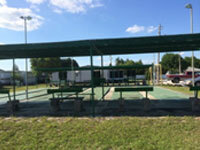 Both of our Sebring mobile home parks are conveniently located right off of US Hwy 27/US Hwy 98, near many local points of interest including Lakeshore Mall, the Shops at Shelby Crossing, Highlands Hammock State Park, Sebring Municipal Golf Course, Sebring International Raceway and many more shops, restaurants, parks, lakes, entertainment venues and medical facilities within South Central Florida. We welcome permanent senior residents to enjoy the cleanliness and peacefulness of our Sebring mobile home parks in quiet residential areas without having to miss out on all the fun, excitement and convenient amenities that Sebring and Highlands County have to offer. Lakeview Mobile Village and Highlands Mobile Village have a wide range of 1-bedroom and 2-bedroom turnkey mobile homes for sale for exceptional 55+ senior community living in Sebring. 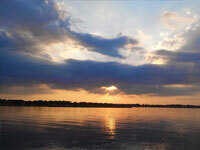 Interested in learning more about all that our Sebring mobile home parks have to offer? Ready to become a resident? Contact us today!